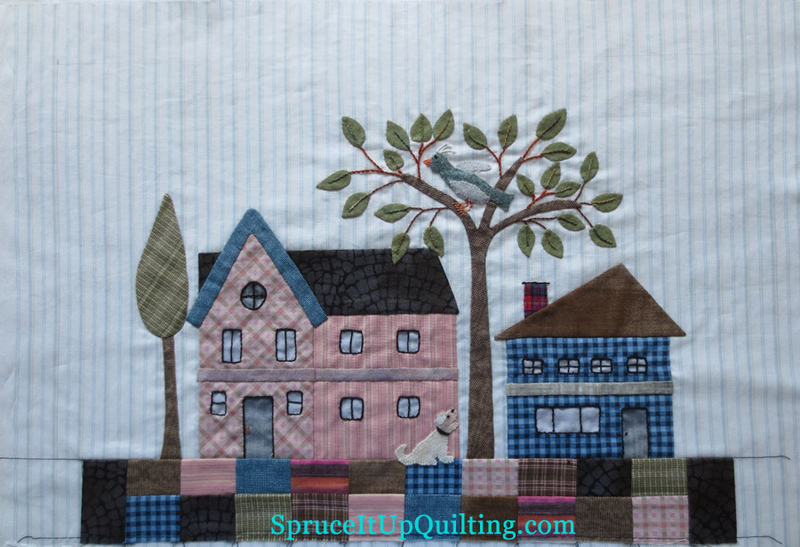 Spruce It Up Quilting: Laboring hands! The studio is quiet this Labor Day weekend, the door is closed to keep the cool air in; that side of the house is the farthest from the AC unit so in order to get some extra cool air, there's a small window air conditioner. I turn it on only when it's really hot. I can stand dry heat but the humidity has been high the last week or two, typical for August in So Cal. I even dipped in the pool for the first time this summer! The water is lovely at 84F. My goal this weekend was to finish some handwork on 3 blocks. The first one is Block no 1 from Yoko Saito's Mystery quilt that ran in Quiltmania in 2012. Block no 2 is ready for embroidery. 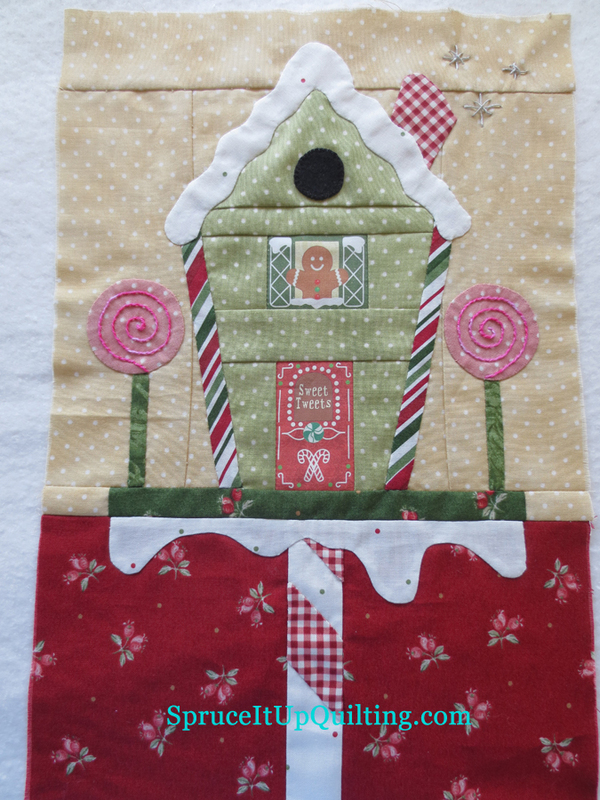 The next one is Block no 3 from Peppermint Place BOM (block of the month). 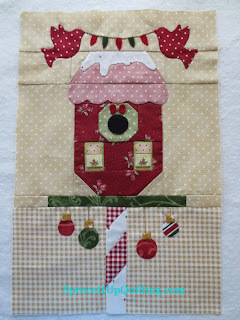 Lastly, Block no 4 also from Peppermint Place. I'm caught up now on this BOM. The days are getting shorter, daylight is appearing later in the morning, a sure sign of fall approaching. Hard to believe summer is almost over! The changing seasons are not as pronounced in Southern California; for this displaced "Canadian" (born American, raised in Canada), the seasons are what my body needs. Someday soon, I will experience them year-round but for now, I will enjoy the sunshine and the heat. Too cute, too cute!! Love these blocks! What a lot of work they must be! Thank you Jennifer! 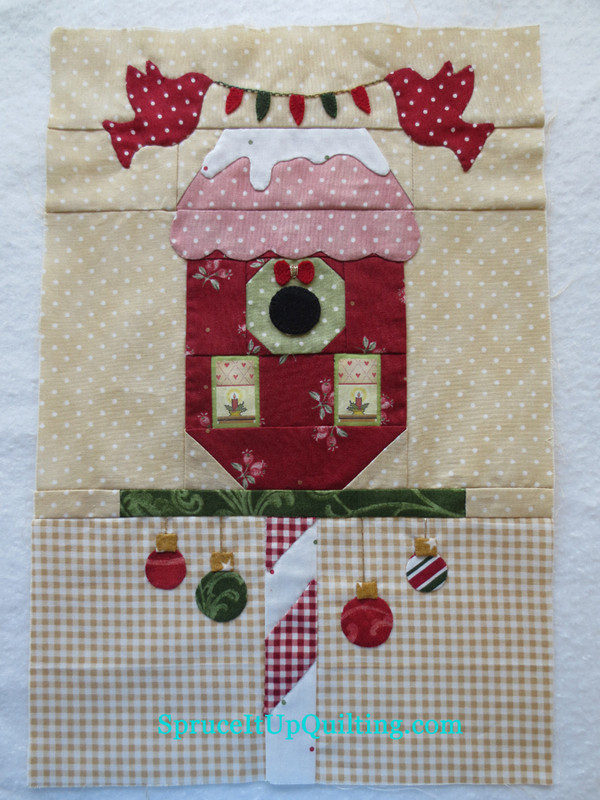 These blocks are very fun and relatively quick to stitch up! The houses blocks are a different story... fun but longer to stitch. However I love the hand embroidery. Your work is beautiful!!! I love those blocks!! It is going to be a gorgeous quilt! Thank you Linda. 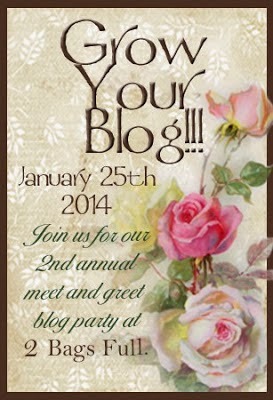 Welcome... Now if I could just quilt half as well as you do, I'd be all set! Come back again! Oh what pretty blocks. I really LOVE block #4. So what do you use to sew your pieces down? I use Superior Silk Thread for my applique. I wish I had a lot more colors but I'm acquiring them slowly. The pink embroidery thread is a hand dyed variegated floss I received as a gift from a friend in the Middle East. I thought it was perfect for the lollipops instead of white floss. Thank you for visiting Sue.